Nashville, Tenn. (February 18, 2013) – Five-time GRAMMY® winner and highly acclaimed singer-songwriter Steven Curtis Chapman gave the performance of a lifetime earlier this month at one of the most famous concert venues in the world, Carnegie Hall in New York City. 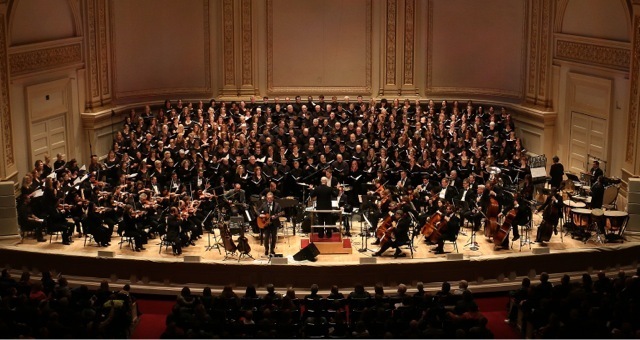 Performing with The True North Symphony Orchestra, conducted by Camp Kirkland, and The New American Chorus made up of choral singers and fans from across the country, Chapman performed moving renditions of some of his most iconic songs, as well as hits from his latest record The Glorious Unfolding. 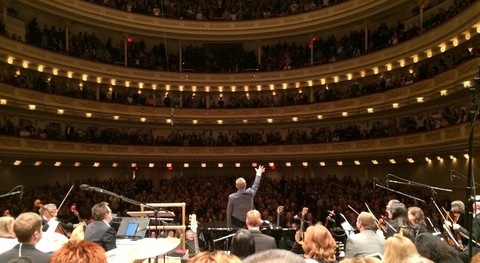 "People asked me if it was a dream come true to play Carnegie Hall? I have to say as a young man growing up in Paducah, Kentucky, I never even thought to dream that big," said Chapman. "It was a humbling and deeply moving experience and a night I will never forget. I'm so grateful to the choir that joined me, Camp Kirkland, Tom Grassi, Roy Hayes, Brian Green, the orchestra, my band and others that helped me put the night together." Chapman launched the next leg of "The Glorious Unfolding Tour" last weekend featuring special guests The Afters and Josh Wilson. For more information on tour dates and tickets, visit http://stevencurtischapman.com/tour. Steven Curtis Chapman has sold nearly eleven million records including two RIAA certified platinum albums and eight RIAA certified gold albums. Along with his five GRAMMY® awards and 17 nominations, Chapman has won an American Music Award, has recorded 48 No. 1 U.S. radio hits and been awarded 58 Dove Awards, more than any other artist to date. Since his recording career began in 1987, Chapman has recorded seventeen projects. He has performed at the White House and has appeared on multiple national programs via CBS, NBC, ABC, CNN, MSNBC, CMT, FOX News, the Hallmark Channel and E!, including Good Morning America, Larry King Live, Fox & Friends, Huckabee, CBS Sunday Morning, The Tonight Show with Jay Leno and more. Chapman and his wife Mary Beth created Show Hope after bringing their first adopted daughter, Shaohannah, home from China in 2001. The ministry’s goal is to raise awareness about orphan care as well as to help families reduce the financial barrier of adoption. Now celebrating its 10th year of service, Show Hope has provided adoption grants to more than 4,000 families wishing to adopt orphans from around the world. Visit www.ShowHope.org.